Munster National Analysis: The NTF Trends Assault! Will this years Munster National hero go onto Festival success in March? For the second year in a row I’m on track for my own ‘Irish National Hunt Autumn Double’, after nailing the Kerry National part of the puzzle last month. No denying, however, I often find this one a bit trickier to land. It’s never been as strong for me as the Kerry National and I’m often left post-race thinking ‘hmmm, that didn’t quite plan out as expected‘. Knowing that going in I took a good hard look at the race trends for this contest during the middle of last week and really tightened them up, leaving no stone un-turned in my bid to make this race bow down and surrender at the feet of the NTF race trends! And that’s exactly how I see this son of b!tch!! 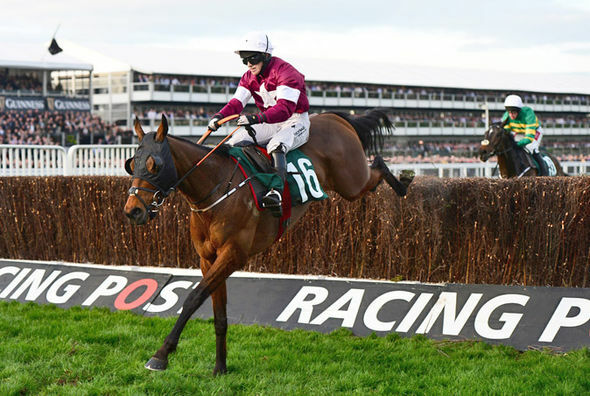 Like it’s Kerry National partner in crime it’s again one of those early season races that isn’t quite strong enough to add to the full NTF subscription service but does serve it’s own purpose for me in that I can use it to get my eye in for the season ahead. I’m just about to come out of a season of BDH-ing on the flat (Badly Drawn Horse-ing if you are new to my work, a [very] recent example guide for that at the bottom of this post) so I like to take a few ‘practice swings’ on the jumps analysis. Well I say ‘practice swings’ but I’m very much playing for real, there won’t be no paper trading here, those days are long gone. Munster National you will be mine one of these days…I’m coming for ya!! ARKWRISHT (JP O’Brien) – It has to be said he was very unlucky not to collect the full booty in the Kerry National LTO, with his rider losing his irons two out and only going down by a 1/2L at the line. Conditions are almost identical here except the fact this is a Right-Handed track, although given the fact all three of his career wins have come right-handed there is a potential that going back this way round will see a cleaner jumping effort from him (it is the one part of his game that does need tidied up). If you look at him under the following – DSLR 30 or less | RH tracks – then you get a form line of 128U711 (3/7, 1p – All 3 career wins) and with those conditions met here and full marks on the trends he looks a serious player. PHILS MAGIC (AJ Martin) – Tony Martin clearly picked up a very well-handicapped chaser from Sandra Hughes over the summer and he’s wasted no time in exploiting that mark. He’s back up to a career high now but I wouldn’t be convinced Hughes was squeezing everything out of her horses and there’s every reason to believe that there is still room for manoeuvre from this OR of 129. He’s a sound jumper who gallops for fun and with big fields and soft ground no problem for him I can see him getting involved here. SLOW MOTION (JP O’Brien) – I’m not convinced this one is fully at home on heavy ground so these soft conditions should play to her strengths more than last time out in the Kerry National (actually was making late headway but didn’t fully pick up in the quagmire). She’s 2 from 2 on soft and seems to enjoy the track having finished 2nd on both previous starts here and Geraghty back in the plate is noteworthy given that he is 15F21 on the mare. She’s only a 5yo so there should still be more to come from her (age is the only trend she falls down on but incidentally she is the first 5yo to run in the race in at least the last 20 renewals, the trend is more of a ‘negative’ towards older horse) and she’s interesting at bigger prices.